Founded and operated in Katy, Texas. Grapho Studio provides state-of-the-art web design solutions to a large variety of businesses in Katy and the greater Houston area. We help clients reach customers and polish their brand identities. Also, we optimize the site’s content for better and wider exposure. Web design, just like any other modern technology is a moving target. It requires constant evaluation of new solutions. Methods and code that were viable ten years ago, are obsolete and depreciated today. Technologies like Flash have all but disappeared or have been relegated to the desktop. They were never designed or well suited for battery powered mobile devices. Today, websites have to support all sort of screen sizes to be able to accommodate their content accordingly. Therefore, if you don’t have a responsive well coded modern website, you are missing out on a large segment of potential customers. Add to this the fact that Google has modified their search engine algorithm to take into account mobile device usability into their ranking criteria. 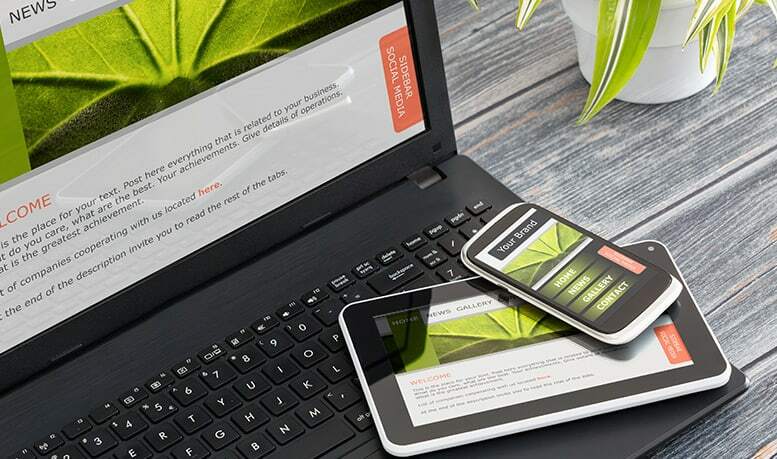 In essence, if your site is not mobile friendly, you will get penalized in ranking. At Grapho Studios, we continuously strive to assimilate new and innovative ways to design web solutions. Our portfolio of deployed websites shows our creativity and innovative implementations. We are designers first and foremost. This allows us to create and code aesthetically clean web designs with unique custom graphics. An extensive background in Industrial Design also affords us a unique usability perspective in which we plan and test extensively before delivering our products. The most beautiful well coded website will not reach its full potential if your audience can’t find it. That is why from the very beginning of a project, Grapho Studio goes through great lengths to carefully craft the content of a site with search engine optimization in mind (SEO). We also offer affordable marketing plans to ensure that your products or services get the web presence they deserve. ​Therefore, we offer a complete solution for your company’s web presence.